Looking for a simple way for kids to welcome spring? These adorable Bow Tie Butterfly Spring Wreaths are easy and make a colorful addition to your spring decor. 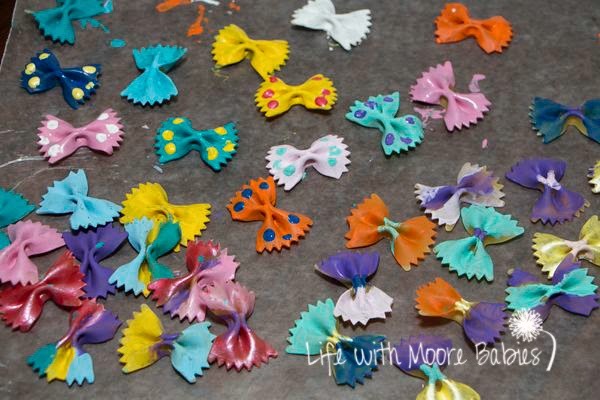 Using the acrylic paints, paint the butterflies and allow them to dry. 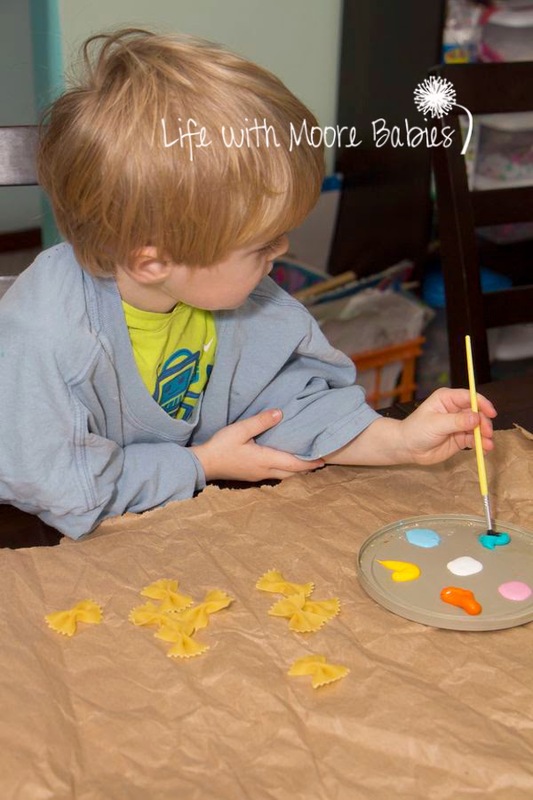 If your kids are like mine they will love playing with any butterflies that they don't use, so make lots in lots of fun colors! Once they are dry you add the antennae. 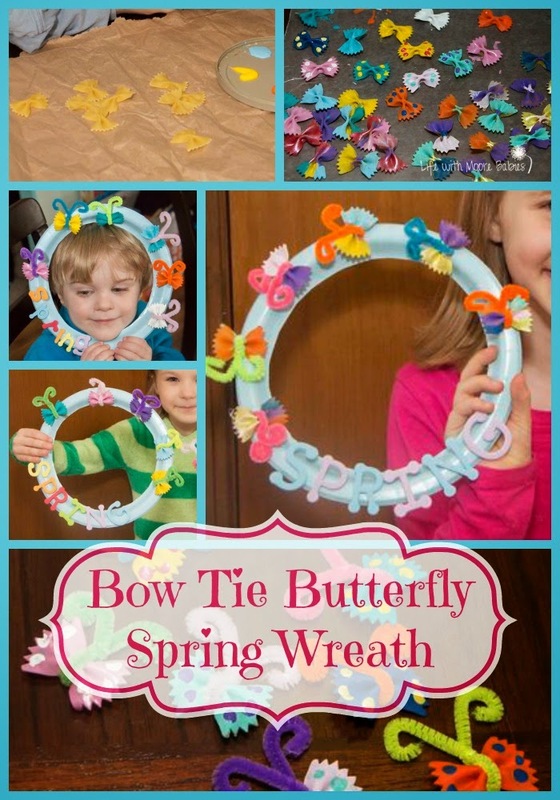 To do this you will need one half of a pipe cleaner per butterfly. 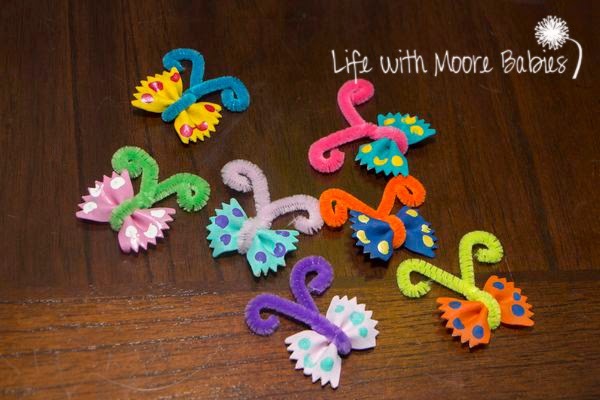 Simply place the center of the pipe cleaner section on the bottom center of the butterfly and fold in half. Twist to form the head (and secure the body) and the twirl the antennae. For the actual wreath part, we used light blue paper plates that I cut the centers out of. 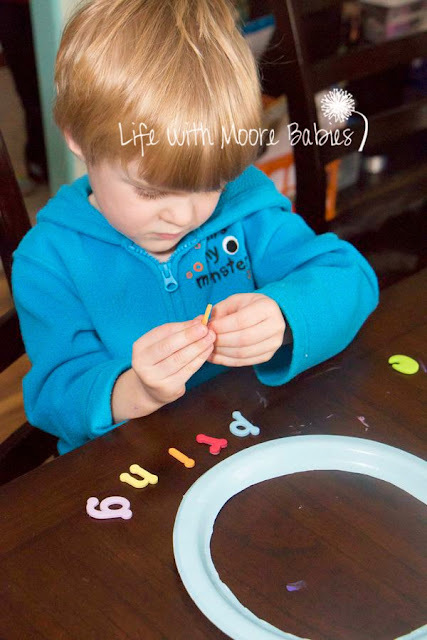 Next the kids each added the word spring with these fun, foam letter stickers that were kindly provided by CraftProjectIdeas. All that is left is to glue the butterflies on where you like (we found hot glue worked well for this). 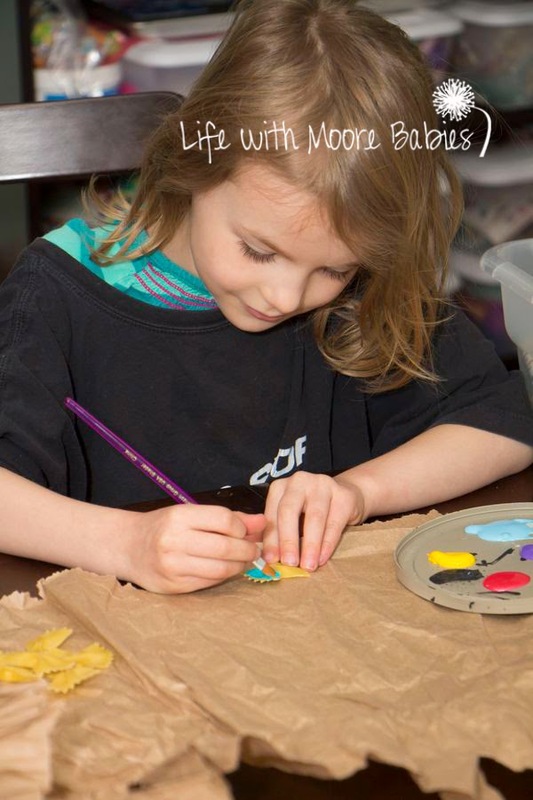 If using hot glue be sure to do it yourself or let an older child do it. You can always have the little ones point to where they want the butterflies. And there you have a super cute spring decoration the kids can help with! Have small bottles to recycle too? Try making this awesome "Glass" Sculpture or Learning about Musical Scales!